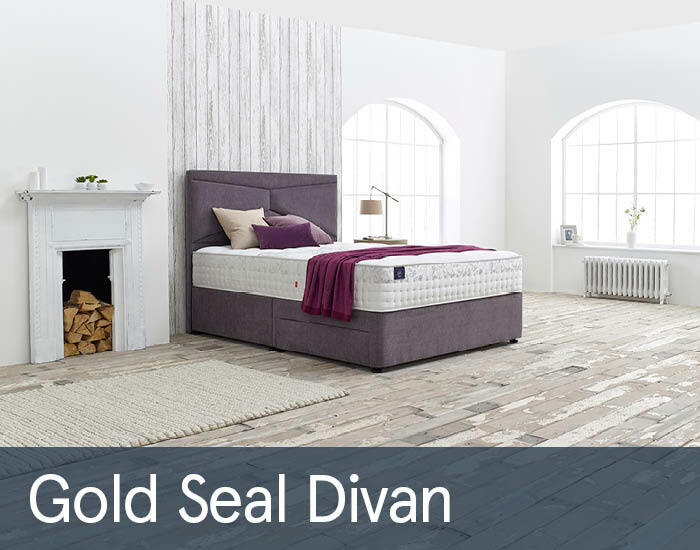 Slumberland Gold Seal divan bed range from the Slumberland Vintage Seal Collection benefits from sumptuous layers of wool, silk, cashmere and alpaca. The platform top base features a wooden top which is upholstered in fabric. This type of base will provide a supportive feel to the mattress. Range is available in single, double, king and super king size.